1. Mix all the ingredients of cookie dough, and put it in a fridge for 30 minutes. 2. Cut melon and make it into a pureè with a blender. Add dried yeast. 3. 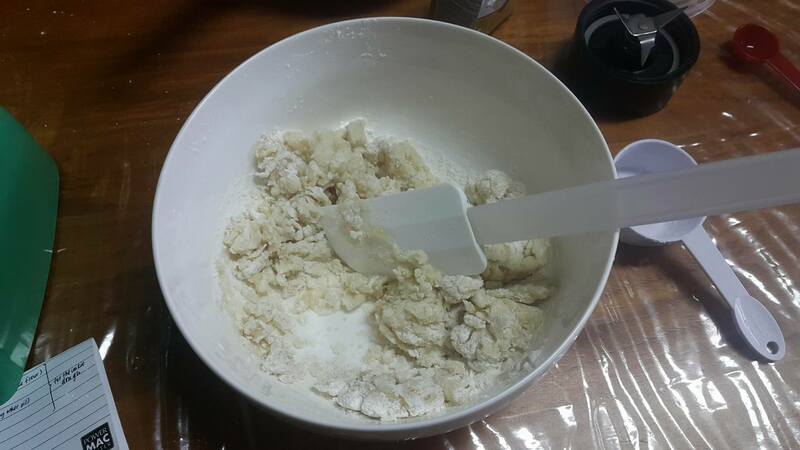 Mix all the ingredients of bread dough and knead well. Leave it at room temperature until it doubles in size. 4. Divide both doughs into 8 equal pieces. Add chocolate chips into bread dough. 5. Roll out the cookie dough to 2mm thick. Roll out the cookie dough until a size larger than the bread dough. 6. Cover the bread dough with the cookie dough. Make patterns on the surface. 7. Wait until it doubles in size. 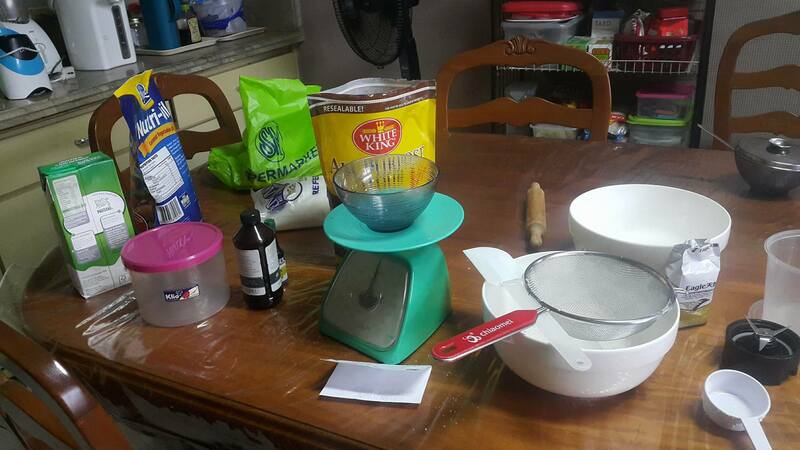 I used to bake a lot years ago, but I stopped when I became too busy with school and other things. I wanted to focus more on my other passions and things – but now, I had this urge to bake (and thus I did). In the refrigerator you go for 30 minutes! This is the first time I’m making melon pan, and was surprised by how little melon is actually used in this – HAHA. I didn’t take too many photos since I was really busy looking at the recipe and getting my hands dirty, haha! As you can see from the first to the fourth, I was slowly improving on my shaping skills HAHA. Can’t wait to eat them. Twenty minutes in the oven! Honestly, it tasted pretty good (even if I didn’t really take good photos since I was really eager to eat them already). It wasn’t too sweet, and it was crunchy on the outside but soft and moist on the inside. I guess I can improve this by fixing the cookie dough on top and using less yeast or something – also I probably should’ve sprinkled some sugar on top before baking it. I guess I’ll make this again in the future with these in mind, heh. This comes to prove that YouTube cooking and baking videos make things look easy. I’m pretty sure that Mr. Peaceful Cuisine-san did a better job since he had better ingredients and a higher skill set in terms of baking, but I’m gonna give myself a pat on the back for a job well done. Victory dance for actually succeeding in baking bread – yey! Haha! I sure hope so 🙂 I checked your blog out and your turtle breads are just so cute! where can you recommend the best melon pan in manila? I’ve tried Kumori and Jipan but it seems like not the one we had in Tokyo.